As we all know, October is the month where everyone thrives to show their spooky side. That’s right, at the end of this incredible month, Halloween will be here. This is a holiday the tons of people love to celebrate, and there are so many ways to go about doing so. The kids will run wild at night in their costumes collecting as much candy as they can. Plus, who could even forget about the decorations that come out? Halloween decorations have continued to be a huge part of this holiday. People let their imaginations run wild to come up with great ideas. Some may be unique while others may be quite similar too. The key to expanding the way you show your Halloween spirit is to think outside the box. I think I have a product selection for you that you may want to consider. So check out the information I have for you below. When it comes to celebrating Halloween, people look for different ways to show their spirit. On top of that, many life to host parties too. It helps to have a few things that can stand out or make the scene better. 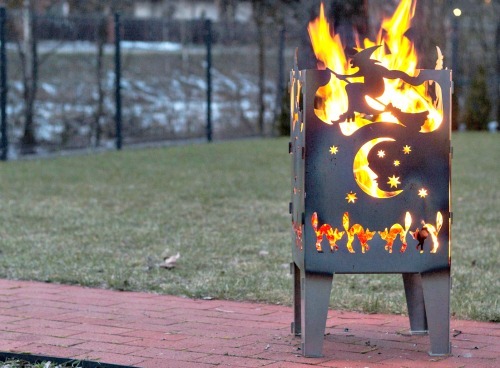 In fact, a great addition to your decor would be a Fairy Tale Fire Basket! Having something like this can be beneficial in a number of ways. Plus, why not surprise everyone with something a bit different this year. So go ahead and check out all the information I have for you above.